Issue 6.5 is now online! We have two freely available articles this month: one Application and one Open Access Article. – rSPACE: An open-source R package for implementing a spatially based power analysis for designing monitoring programs. This method incorporates information on species biology and habitat to parameterize a spatially explicit population simulation. 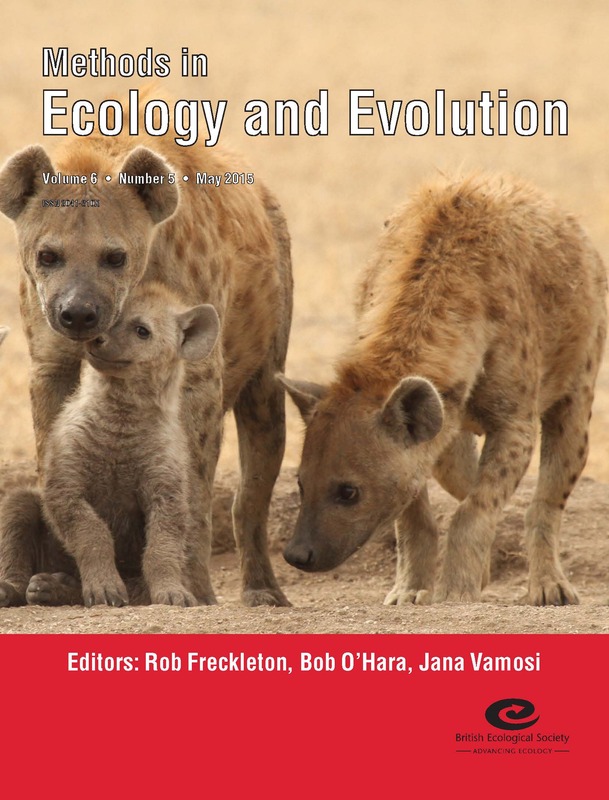 Methods will be attending the next ITN Speciation conference 2012 in Jyväskylä, Finland and to mark the occasion, the editorial team has put together a list of some our most relevant work in speciation and evolution. If you are going there, stop by to talk to me, Graziella Iossa, journal coordinator. See you on 26-28 February, 2012, at the University of Jyväskylä, Finland! Long-term datasets yield a great deal of information and are increasingly used to inform conservation measures. In the first video of the new year, Gary Powney and Tom Oliver show how long-term monitoring data on the Speckled Wood butterfly (Pararge aegeria) from the UK monitoring butterfly scheme can be used to assess functional connectivity of the landscape. In a paper recently published in Methods, Gary Powney, Tom Oliver and colleagues use synchrony between population counts as a new empirical method to assess functional connectivity – the permeability of landscapes given species dispersal attributes. Functional connectivity is important because well-connected metapopulations are expected to be more resistant to stochastic events causing extinction. They use long-term monitoring data on the Speckled Wood butterfly and find that population synchrony is positively correlated with landscape suitability, suggesting that synchrony might be used to measure functional connectivity. A key finding is that relatively close populations may exchange sufficient migrants for synchronisation, regardless of the matrix suitability. In contrast, more separate populations are synchronised only where the landscape permits functional connectivity, most likely through dispersal between intermediate stepping-stone populations. This technique might be used to test and prioritise the effectiveness of land management for conservation of species and to mitigate the effects of climate change.